Since its debut a few years ago, the Albany Comic Con turned into a terrific one-day show being done for all the right reasons — to promote comics in the region, and give fans a worthy experience. 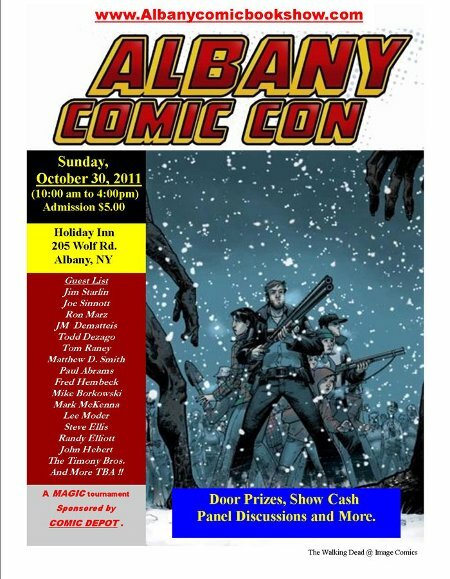 The latest edition of the Albany Comic Con will be held Sunday, Oct. 30 from 10 a.m. to 4 p.m., at the Holiday Inn on Wolf Road in Albany, NY. Admission is a miniscule $5. In addition to me, the guest list includes Jim Starlin, Joe Sinnott, J.M. DeMatteis, Tom Raney, Lee Moder, Nelson Blake 2nd, Todd Dezago, Matthew Dow Smith, Fred Hembeck, David Gallaher, Steve Ellis, Jennifer Meyer, Tom Peyer and a lot more. Pretty impressive guest list, right? I’ll be on a panel with Jim Starlin in the afternoon, focusing on Jim’s career and preset projects. There will also be a silent auction of art pieces and other items, with all proceeds to benefit neighboring Schoharie County, which was hit hard by the Hurricane Irene flooding. I’ll have copies the first two Shinku issues on hand, as well as both volumes of the Samurai: Heaven and Earth collections. If there’s something else specific you’re looking for, leave a comment and I’ll see if I have copies. Two new issues out this week. First up, Magdalena #9, with art by Nelson Blake 2nd, Sal Regla and Dave McCaig. It’s the start of a new story arc, and a good jumping-on point, as we get back to a regular schedule on the book. The story is Part 1 of “The One, True Cross,” which is actually a concept suggested by my Witchblade collaborator Stjepan Sejic. We’ve tried to maintain a globe-trotting aspect to the series, and this issue visits Romania, the Vatican and San Cristobal, Mexico, which is a town in the mountainous Chiapas region that I spent some time in a number of years ago. Also out this week is Voodoo #2, with art by Sami Basri, Hendry Prasetya and Jessica Kholinne. 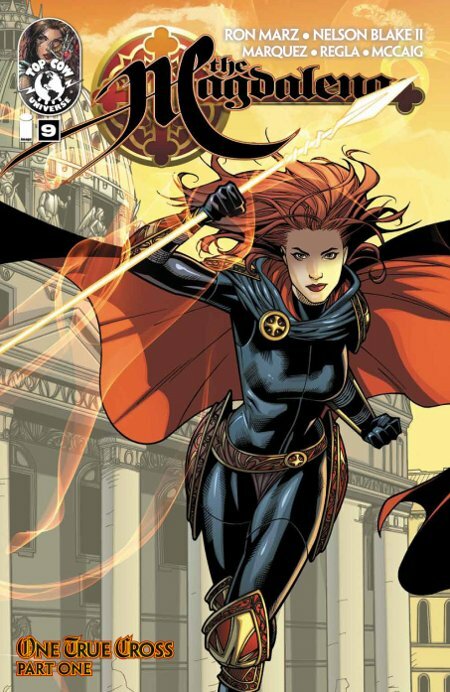 The story follows Priscilla after her departure from the Voodoo Lounge at the end of issue #1, and gives a bit more insight into Agent Jessica Fallon. 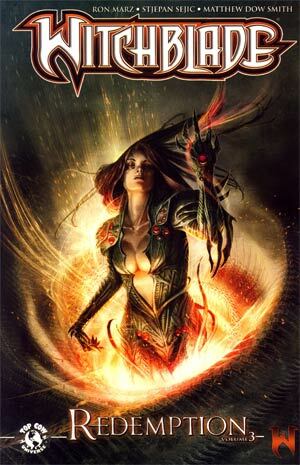 No single issues, but Witchblade: Redemption Vol. 3 hits stores (and Amazon) this week. The collection includes issues #142 through #145, plus Annual #2. Issues #142 and #143 are a solo adventure starring Sara Pezzini’s partner, Det. Patrick Gleason, drawn by my buddy Matthew Dow Smith. The tale is actually set in the upstate New York area where Matt and I both live. 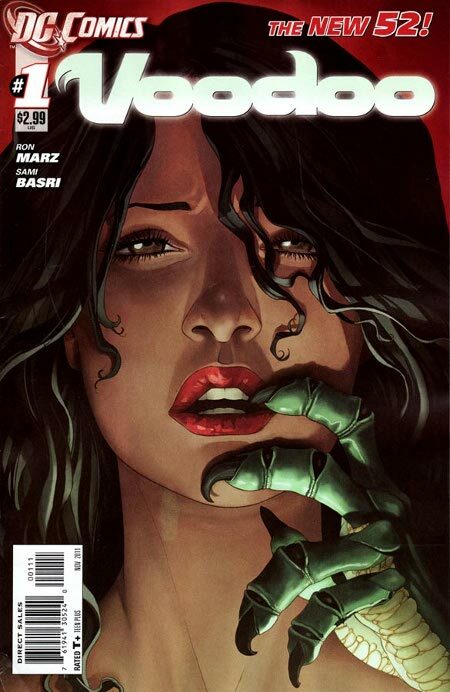 Regular series artist Stjepan Sejic returns for issue #144, which is a retelling of Sara’s first encounter with the Witchblade, though in the form of a diary by her late partner. Issue #145 is another standalone tale about a creature in the NYC sewers, told via a few “Rashomon” points of view. The Annual’s lead story is a World War II adventure, set during the siege of Stalingrad, and featuring that era’s Witchblade bearer, with some lovely art by Tony Shasteen. Matt Smith also contributed an illustrated prose story. 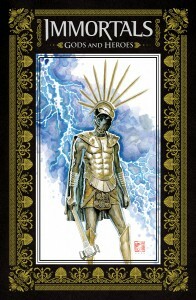 Lastly, a little catch-up, as apparently Archaia’s hardcover anthology Immortals: Gods and Heroes hit stores last week. All the stories are all based on the upcoming film, expanding upon the mythos. My story, starring Ares, was drawn by another good friend, Rafael Kayanan, whom I’ve known for years, but this was our first time working together. As it happens, Raf also worked as a designer on the “Immortals” film for director Tarsem Singh. 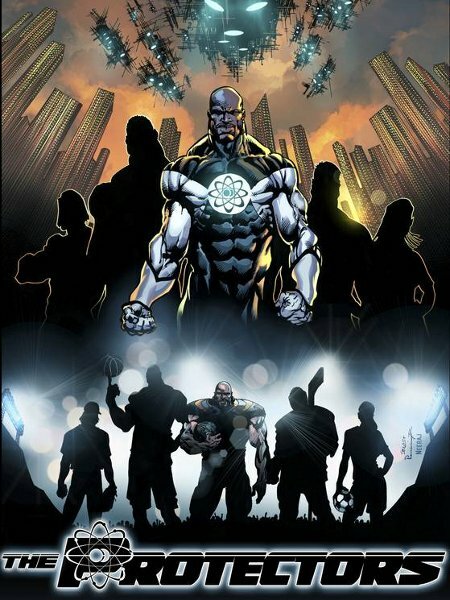 The rest of the anthology features a pretty grand array of talent, assembled by editor Nate Cosby, including Phil Hester, Jock, Ben Templesmith, David Gallaher, Ben McCool, Justin Gray, Jimmy Palmiotti, Dennis Calero and F.J. DeSanto. Looks like I’ll be making an appearance at New York Comic Con after all. Originally, I was to have been at Fest Comix in Sao Paulo, Brazil this weekend. But a delay in the visa process at the Brazilian consulate made that trip impossible. All apologies to everyone at Fest Comix. I’m already talking with the organizers of the show about making the trip to Fest Comix a reality in 2012. So since I’m not going to Brazil this weekend, I’ll be making the much shorter trip to the Jacob Javits Center on the west side of Manhattan for the New York Comic Con. I’ll only be there Friday and Saturday, with most of my signings at the Image/Top Cow booth (schedule below). I’m also trying to work out time for a signing at the Archaia booth, which will have some advance copies of the Storyteller and Immortals hardcover anthologies, to which I contributed stories with my buddies Craig Rousseau and Rafael Kayanan, respectively. Check at the Archaia booth for the latest schedule. I expect to have copies of Shinku #1 and #2 for sale at my Image signings. Come buy them so I don’t have to carry them home! Reviews of Voodoo #1 keep rolling in, so here’s an update with more links. I’m sure I didn’t get all of them, so please forgive any, uh, missing links. But these are the ones I found, both positive and negative (though I’m pleased to say generally more positive than negative). Voodoo #1 hit stores Wednesday. The hysterics about it started last week, before anyone had even read the issue. Now that it’s out, and in people’s hands, the reactions have been all over the map. Review links are below, if you’d care to peruse. I’m really pretty fascinated by the diverse reactions: two people read the same issue, and each comes away with a drastically different view of what was just read. Doesn’t make either on right or wrong — ultimately, any of it is just one person’s opinion. We all bring our experiences and predilections to the table with us, whether we want to admit it or not. And really, that’s fine. Not every book is for every reader, nor should it be. As I’ve said before, comics are not a one-size-fits-all medium. Thanks to everyone who picked up Voodoo and gave it a chance.